Sonshine Sanctuary runs and participates in many different events to raise awareness and funds. Do you have any ideas for events? Do you have a passion for ending domestic violence We would love to hear them. 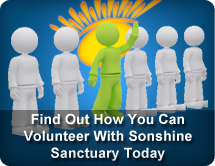 If you are interested in running an event to create awareness of the challenges involved with domestic violence or to raise much needed funds, Sonshine Sanctuary will work with you and provide support where we can.